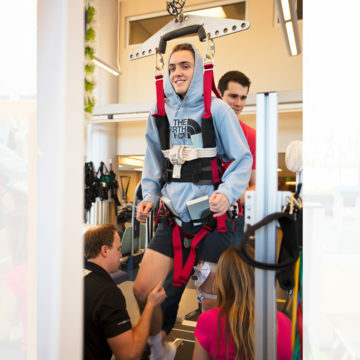 Spinal cord injury (SCI) treatment and rehabilitation focuses on aggressively working with patients physically and psychologically, so that in a short period of time patients can maximize their neurological recovery and general health. Our clinicians and physicians educate SCI patients about all aspects of their injury and care. We want patients to return home as independent and productive as possible, prepared to resume their lives. 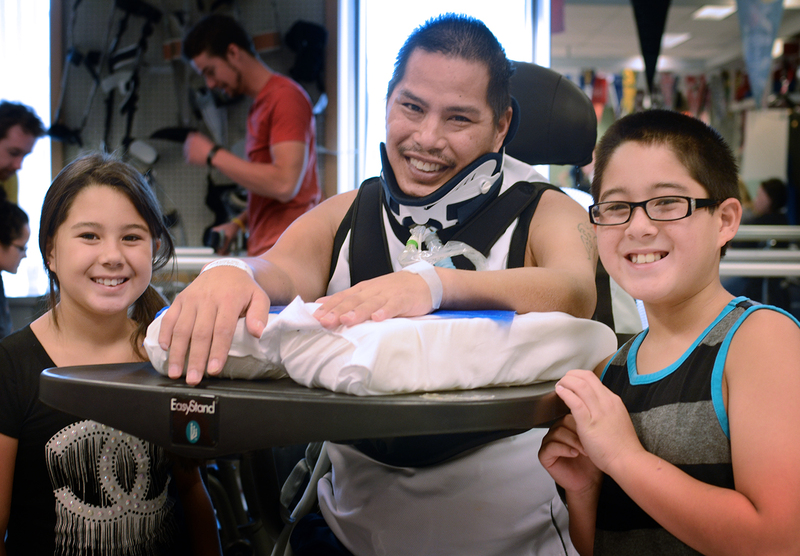 Our individualized, comprehensive, and family-oriented approach to inpatient spinal cord injury rehabilitation and treatment creates a caring culture of hope and possibilities. 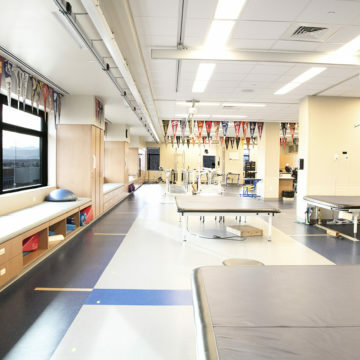 We offer highly specialized and experienced staff, state-of-the-art rehabilitation facilities and equipment, proven treatment methods, a large group of patients with similar injuries, and a positive and caring attitude that permeates the hospital. We serve patients with all levels and severity of spinal cord injury. 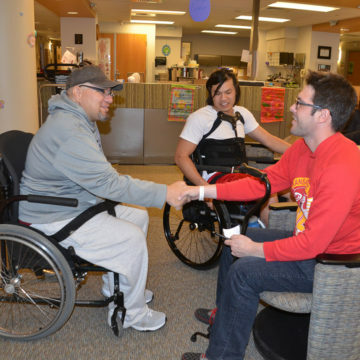 Each year we treat approximately 300 people with spinal cord injuries. 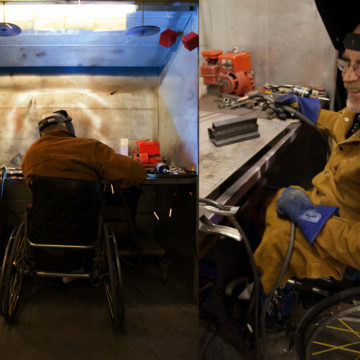 At any given time we are treating between 50-55 people with spinal cord injuries. 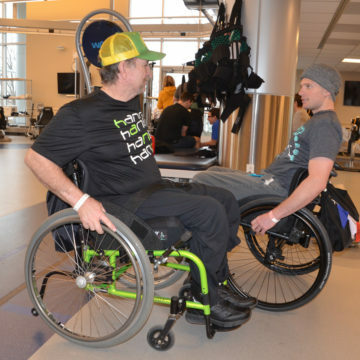 Craig also has one of the largest ventilator-dependent and weaning spinal cord injury programs in the country. Craig's spinal cord injury rehabilitation program is organized by interdisciplinary treatment teams led by our own physicians, with a single physician management model. These core teams are comprised of the patient, his or her family, the physician, rehabilitation nurses, nurse technicians, physical therapists, occupational therapists, therapeutic recreation therapists, clinical care managers, clinical psychologists, dieticians, chaplain and pharmacist. When necessary, representatives from respiratory therapy, speech/language pathology, and other consultants and treatment professionals who specialize in SCI also are included on the team. 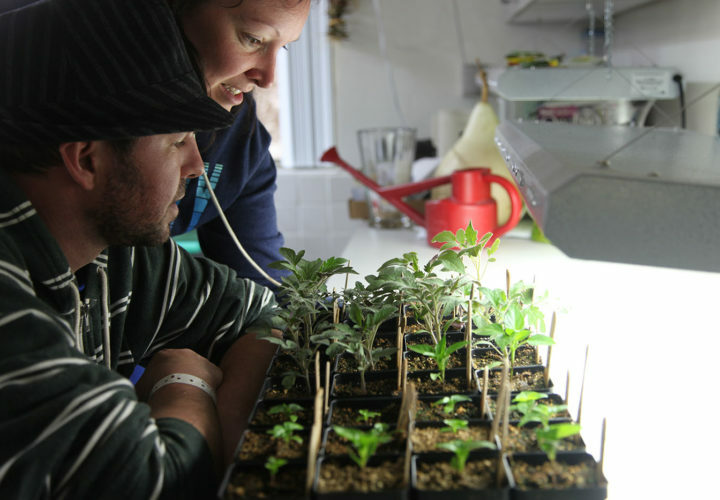 Family is a critical part of the rehabilitation process at Craig Hospital. Family members are encouraged to participate in therapies, educational sessions, regular patient-family conferences and therapeutic outings. Craig has state-of-the-art, accessible family apartments on campus. Craig is a very family-friendly environment, with multiple family relaxation and hospitality areas. 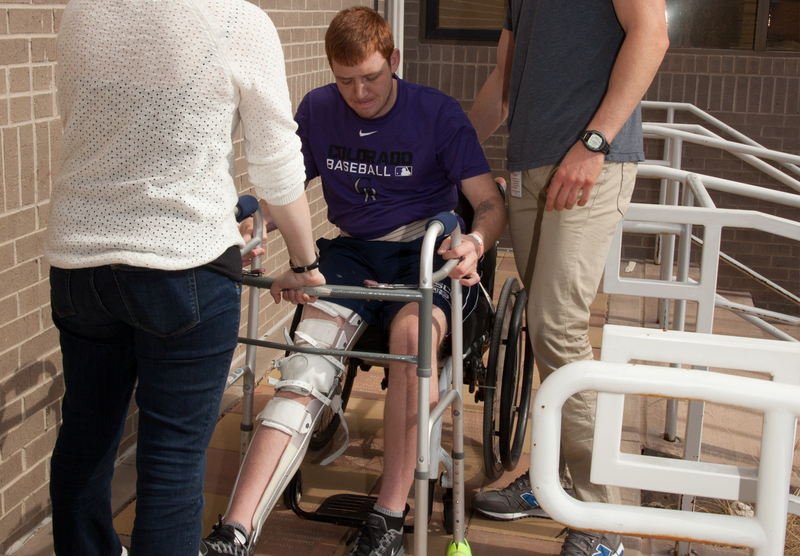 In November 2012, Kaleb Wilson sustained a spinal cord injury after a diving accident. With the help of Craig Hospital, Kaleb was able to reach his goal of giving his bride her dream wedding! 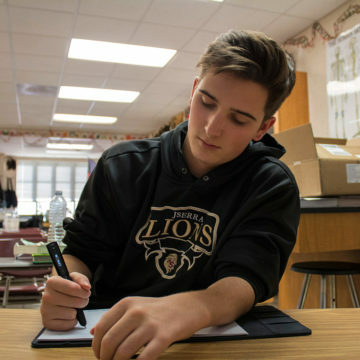 "The people at Craig become family." 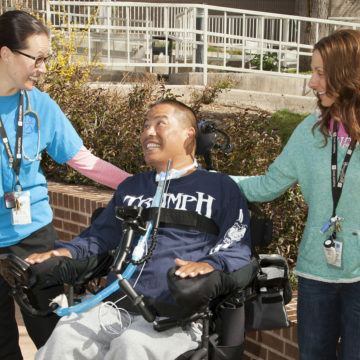 Craig Hospital's inpatient spinal cord injury rehabilitation program not only serves patients who are newly-injured, but may also serve those who are experiencing a late onset complication of spinal cord injury and require a period of inpatient hospitalization. Such complications may include neurosurgery or other medical/surgical procedures. 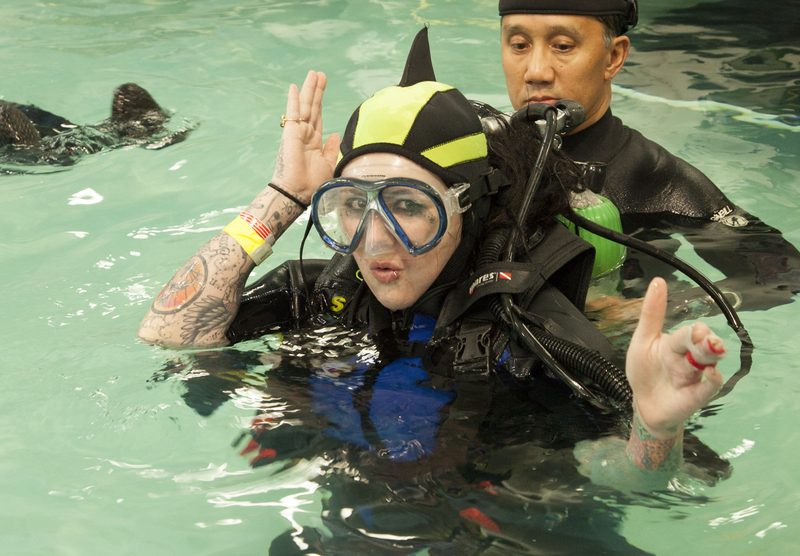 When choosing a rehabilitation program for someone with a spinal cord injury, it's important to select a system of care that provides specialized treatment, care, services and equipment. Because of the complexity of these injuries, most experts agree that patients should be treated in a specialty hospital like Craig.